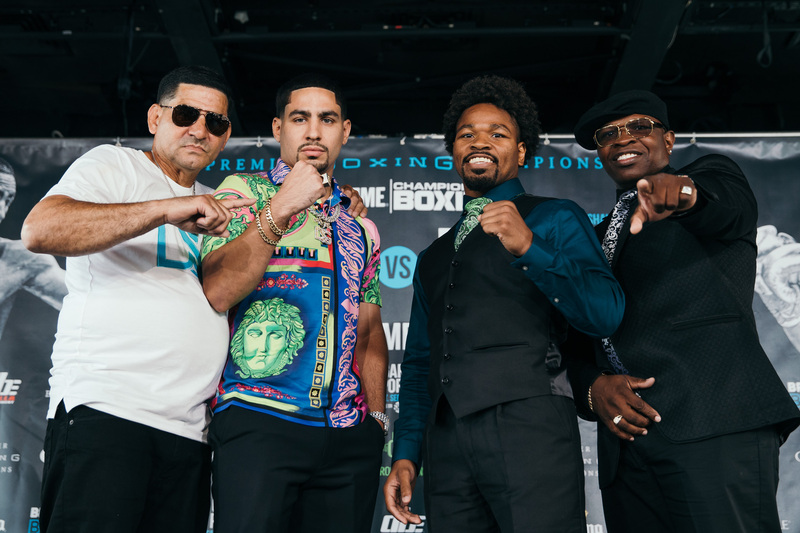 WHAT: SHOWTIME Sports Emmy-award winning reporter Jim Gray sat down with the fathers of Danny Garcia and Shawn Porter as the two former world champions prepare to meet September 8 for the vacant WBC Welterweight World Championship on SHOWTIME CHAMPIONSHIP BOXING. Angel Garcia and Kenny Porter, who both also serve as their sons’ trainers, are asked by Gray how they react when they watch their sons take punishment in the ring. At the end of the interview, Kenny unveils a Garcia “DSG” T-shirt that reads: “Showtime Destroys Garcia” and both fathers shared a big laugh. Live coverage of the SHOWTIME CHAMPIONSHIP BOXING telecast begins at 9 p.m. ET/6 p.m. PT and also features top 147-pound contender Yordenis Ugas (22-3, 11 KOs) taking on Argentine slugger Cesar Barrionuevo (34-3-2, 24 KOs) and unbeaten Polish Heavyweight contender Adam Kownacki (17-0, 14 KOs) facing former Heavyweight champion Charles Martin (25-1-1, 23 KOs). The Premier Boxing Champions event takes place from Barclays Center, the home of BROOKLYN BOXING.